is one of the richest natural spaces in the metropolitan area, thanks to its biodiversity. This extraordinary heritage, which can be explained by the proximity of mountains to the sea, and climatic influences which are Mediterranean, alpine and continental, gives this area a great diversity which makes it unique. the varied splendour of its landscapes, wild nature, its cultural and historic wealth, made a significant contribution to the awarding of the category of "National Park" in 1979, acknowledged worldwide as the highest level of quality and protection of outstanding natural spaces. From olive groves to alpine pastures, from larch forests to snowy peaks, Mercantour is home to a rare variety of fauna, flora and landscapes, unique even on a global scale. 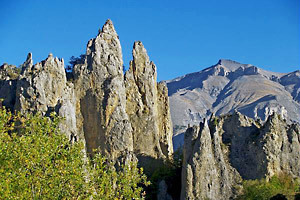 The Massif du Mercantour is the only high mountain French national park where you can find all vegetation stages. With summits of more than 3,000m, its many glacial lakes and six valleys with their own unique character, the Parc national du Mercantour is, just one hour from the sea, a unique jewel of preserved nature! Stretching 150 km, the territory encompasses six valleys (Verdon, Var-Cians, Ubaye, Tinée, Vésubie and Roya-Bévéra) in the Southern Alps, and covers two departments: around two thirds in the Alpes-Maritimes, and in the Alpes-de-Haute-Provence. For administrative purposes, the Park is divided into seven sectors, corresponding to the main valleys of the range. Each of them has a team of experts and rangers responsible for supervision and coordination, and scientific and technical operations at a local level. If you come across them, they will be delighted to discuss the curiosities of nature or strange stories from the valleys. Like any French National park, the Parc du Mercantour has a park core (formerly the central zone) and a buffer zone (formerly the peripheral zone). The core spreads over 68,500 hectares. The role of the Park is to improve knowledge and protection of nature; just a few traditional hamlets are inhabited in season. Boasting an extraordinary heritage, this area is subject to regulations that everybody is required to respect to participate in its conservation. Its “buffer zone”, for its part, currently covers 136,500 ha, but will undoubtedly change with the new law. 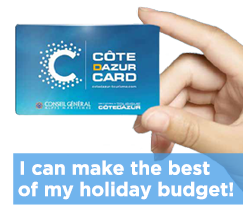 It has around 18,000 permanent residents distributed among 28 communes, o/w 22 are in the Alpes Maritimes. The Park encourages economic development, but always with the constant desire to harmonise the impact of human activities and environmental protection. 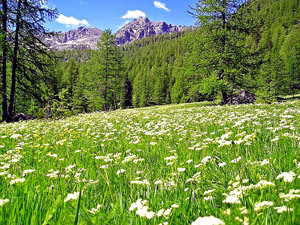 From the other side of the massif du Mercantour, our Italian neighbours, for their part, created the Parco Naturale Alpi Marittime in 1995, the result of the merger of the Argentera Natural Park (1980) and the Riserva del Bosco e dei Laghi di Palanfré (1979). No physical borders separate the two protected spaces. Together, they form a unique ecological entity: we use the phrase mountains without borders. Over centuries, they have maintained traditional economic and cultural links. 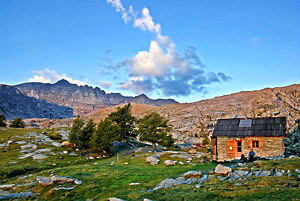 Since 1984, the Parc national du Mercantour has established special relations with the Parco naturale Alpi Marittime, which it twinned with in 1987. This collaboration makes it possible to better meet the requirements of protecting and managing their shared natural heritage. And why not a European Park in the future?